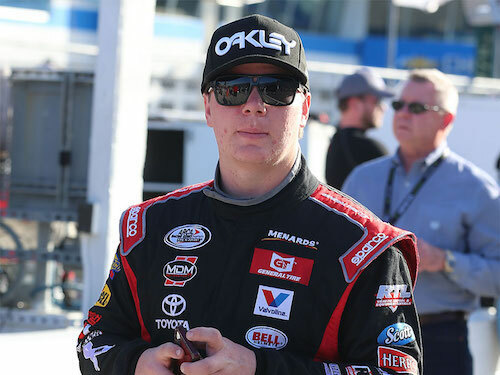 Sheldon Creed will go full-time in the NASCAR Camping World Truck Seires in 2019 as a driver for GMS Racing. It will be Creed’s first full-time season in any of NASCAR’s national series. Creed has made four starts in the Truck Series in 2018, including the three most recent races for GMS as driver of its No. 2 Chevrolet. He also is slated to finish the season in the No. 2 Friday night at Homestead-Miami Speedway. He finished 10th in the most recent race, Nov. 9 at ISM Raceway near Phoenix. Creed is the reigning ARCA Racing Series champion. In the 2018 season that ended last month, he won four times in 20 races and posted 16 top-fives and 18 top-10 finishes. Creed has made six-career starts in the Truck Series, so far, the other two starts coming in 2016 and 2017 at Eldora Speedway in Rossberg, Ohio. He also made two starts in the NASCAR Xfinity Series last year, both on road courses.